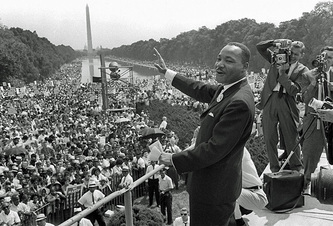 Civil Rights Movement - Has Martin Luther King's Dream Come True, Today? "This will be the day that all of God's children will be able to sing with a new meaning.' " My country 'tis of thee, sweet land of liberty, of thee I sing. Land where my fathers died, land of the pilgrim's pride, from every mountainside, let freedom ring.' 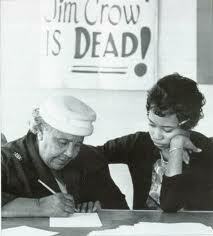 "
The African American Civil Rights Movement (1955-1968) led to the passage of the Civil Rights Act in 1964. 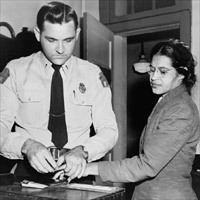 It banned racial discrimination in employment, voter registration, and public accommodations. African Americans were no longer allowed to be discriminated against due to race, color, religion or national origin. 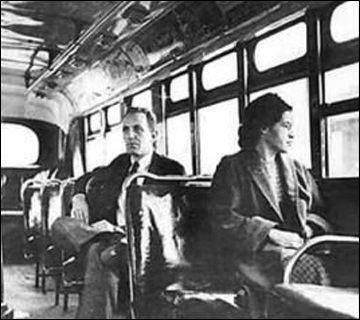 *The Montgomery Bus Boycott (1955-1956), which was sparked by Rosa Parks refusing to give up her seat on the bus. *The Little Rock Nine (1957) which has been considered to be one of the most important events in the Civil Rights Movement. 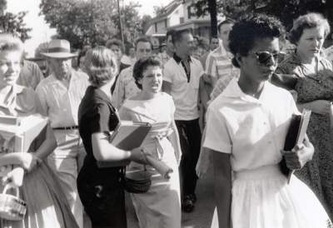 It was the enrollment of the Little Rock Nine into Little Rock Central High School in 1957. When the U.S. Supreme Court issued Brown v. Board of Education in 1954, it declared all segregation of schools unconstitutional and that all schools should be integrated in the nation. After the decision, the NAACP, National Association for the Advancement of Colored People, attempted to enroll black students in all-white schools across the south. 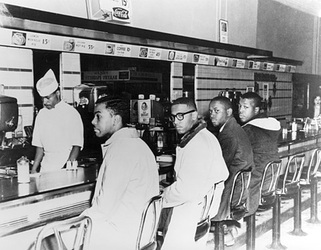 *The lunch counter sit-ins (1960) where 4 black college students from North Carolina Agricultural and Technical College, an all-black college, sat down at the segregated lunch counter to protest Woolworth's policy of excluding African Americans. 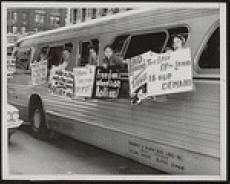 *The freedom rides (1961) which were journeys by Civil Rights activists on interstate buses into the segregated southern United States to test the U.S. Supreme Court decision Boynton v. Virginia, (1960) that ended segregation for passengers engaged in inter-state travel. *Organized voter registration (1962) where local black leaders in Mississippi such as Amzie Moore, Aaron Henry, Medgar Evers, and others asked SNCC, (Student Nonviolent Coordinating Committee) to help register black voters and to build community organizations that could win a share of political power in the state. *The March on Washington (1963) which was a collaborative effort of all of the major civil rights organizations, the more progressive wing of the labor movement, and other liberal organizations. The major focus was on passage of the civil rights law that the Kennedy Administration had proposed after the upheavals in Birmingham. 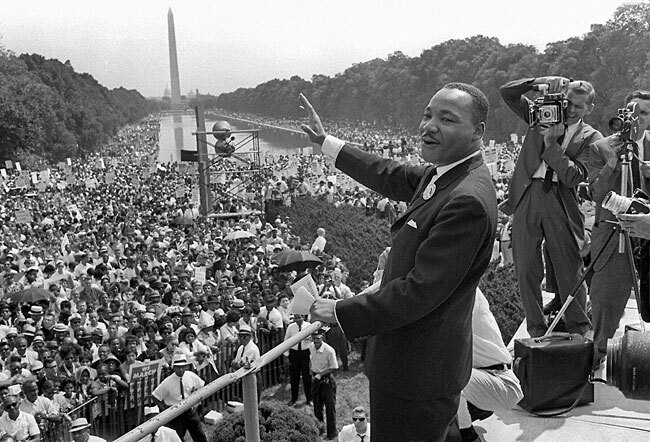 This is also the setting for Martin Luther King's famous "I Have A Dream" Speech. The effects of the Civil Rights Movement are still alive today in 2010. In this day and age we are free to ride any mode of transportation we chose, we are free to eat anywhere we chose, we are free to vote for whomever we chose and we are able to get an education where we chose. Most importantly, these rights have been given to us not only as African Americans but as Asians, Latinos and all other cultures that come to this nation.